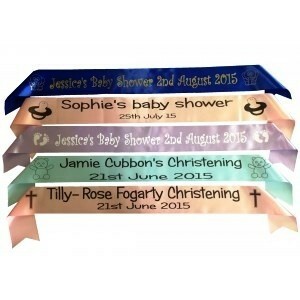 Personalise your own banner for your special occasion! 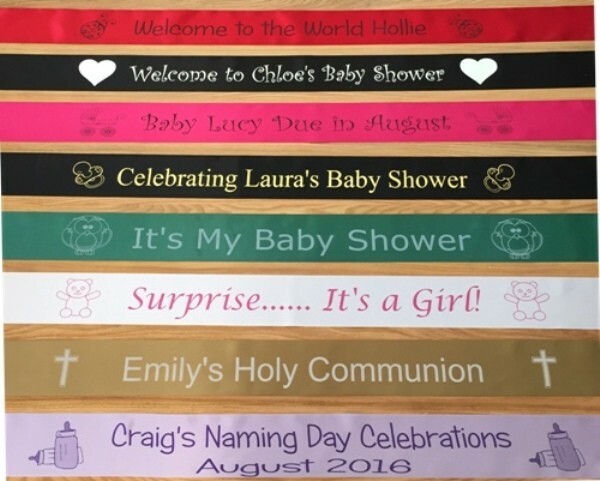 Each banner is 1.5metres long and 100mm wide, made from high quality satin ribbon and personalised with text of your choice in the print colour that you choose. 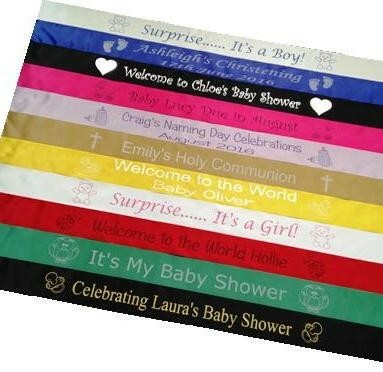 Banners are available in White, Red, Purple, Pastel Blue, Black, Pastel Pink, Emerald Green, Sunshine Yellow, Hot Pink or Royal Blue. with a choice of print colours - Metallic Silver, Metallic Gold, Sunshine Yellow, White, Red, Black, Green, Tangerine Orange, Pink, Matt Silver, Matt Gold or Purple. Please make your selection below. These banners are ideal to decorate the edge of your party table, put up on the wall or door, across a mirror, on the bannister rail and so on. Please enter your personalised text below. Ideal as a 'Welcome Home' banner for Mum and Baby.